Zachary Estevan Morrison, a 28-year-old Latino, was fatally shot Monday, May 28, in the 12100 block of 207th Street in Lakewood, according to Los Angeles County coroner’s records. Neighbors thought they heard fireworks about 9:40 p.m. and discovered Morrison lying in the parkway between the sidewalk and curb on 207th Street, said Los Angeles County Sheriff’s Lt. Derrick Alfred. The shooting was across the street from Artesia High School's sports fields, according to Google maps. Morrison apparently had been walking in the area, about 1 1/2 miles from his Lakewood home, Alfred said. He was pronounced dead at the scene at 9:55 p.m., on his 28th birthday, according to coroner’s records. The cause of death was listed as multiple gunshot wounds. 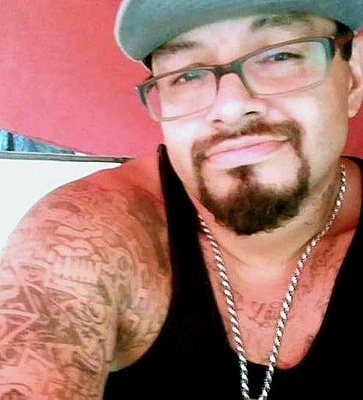 Jesus Manuel Nuñez, a 38-year-old Latino, died Tuesday, Feb. 20, after he was stabbed at Del Amo Boulevard and Violeta Avenue in Lakewood, according to Los Angeles County coroner’s records. Nuñez and his girlfriend were walking home from a doughnut shop around 1:15 a.m. when a dark sedan stopped alongside them and a man, a woman and a female juvenile got out, demanding their property, said Los Angeles County Sheriff’s Lt. Joe Mendoza. In the ensuing struggle, one of the three stabbed Nuñez in the torso, Mendoza said. They then took a few items — Mendoza said he couldn’t specify what was taken — and got back in the car, driving south on Violeta Avenue. Nuñez was taken to a hospital, where he was pronounced dead at 1:59 a.m., according to coroner’s records. His girlfriend was not injured. Miranda Lauren Walton, a 26-year-old Latina, was shot and killed Sunday, Sept. 10, in the 5900 block of Pepperwood Avenue in Lakewood, according to Los Angeles County coroner’s records. Residents called 911 at 3:27 p.m. to report that a woman was screaming for the police, Los Angeles County Sheriff’s Lt. Derrick Alfred said. When deputies arrived, they found Walton and her husband, Austin Wesley McQuade, inside the residence, both with gunshot wounds to the head, Alfred said. The woman screaming for help was Walton’s mother, who lived with the couple and had been away during the day, he said. Both Walton and McQuade, a 27-year-old white man, were pronounced dead at the scene at 3:52 p.m., according to coroner’s records. Walton’s death was ruled a homicide, according to coroner’s records. Matthew Eddie Gonzalez, a 26-year-old Latino male, died Monday, April 24, after being shot in Lakewood, according to Los Angeles County coroner's records. Larry Betancourt Demelo, a 38-year-old white man, was shot and killed Saturday, Sept. 10, in the 11800 block of Centralia Street in Lakewood, according to Los Angeles County coroner’s records. Demelo, a resident of Artesia, had been sitting in a stairwell outside his girlfriend’s apartment building talking to another man, said Los Angeles County Sheriff's Lt. Mike Rosson. About 11 p.m., Demelo walked out to the street to talk to someone in a vehicle, Rosson said. Someone in the car shot Demelo in the torso and drove away. Demelo staggered back to the stairwell and collapsed, he said. Demelo was taken to a hospital where he was pronounced dead at 11:39 p.m., according to coroner’s records. John Leonard Berry, a 31-year-old white male, was shot and killed by Los Angeles County sheriff’s deputies on Monday, July 6, in the 5500 block of Adenmoor Avenue in Lakewood, according to Los Angeles County coroner’s records. The incident began at 10:40 a.m. when the Sheriff's Department responded to a call about a man who was “acting strangely” and off his medication, according to Lt. Eddie Hernandez of the sheriff’s Homicide Bureau. The deputies found Berry sitting in the driver's seat of his black BMW, which was parked along the curb in front of his home. When Berry saw the deputy, he allegedly accelerated and drove his car into the front end of the patrol car, according to a department news release. Paschal Jabaz Ivy, a 37-year-old black man, was shot and killed Wednesday, June 10, in the 11500 block of Carson Street in Lakewood, according to Los Angeles County coroner’s records. Ivy, a San Jacinto resident, was shot multiple times by a resident of the condominiums at the scene, said Lt. Holly Francisco with the Los Angeles County Sheriff’s Department. Residents of the condos were already edgy after vandals smashed out windows and dented the sides of seven vehicles in the parking lot the night before. Witnesses said the vandals looked like three black males in a dark-colored sedan, Francisco said. About 11 p.m. residents heard a loud commotion outside and someone yelled the name of a gang, Francisco said. One of the residents, a 56-year-old Latino, took a handgun onto his balcony to see what was happening, Francisco said. Richard Wayne Van Heyningen, a 47-year-old white man, was shot and killed Tuesday, March 31 near Hardwick Street and Fanwood Avenue in Lakewood, according to the Los Angeles County coroner’s office. The victim was riding his bicycle on Hardwick Street when a pickup truck driven by his brother came up behind him and ran into his bicycle, causing him to fall into the street, according to a news release from the Los Angeles County Sheriff's Department. After he fell, witnesses told investigators the victim walked up to the driver's side of the truck and started arguing with the driver, Brandon Van Heyningen, 44, of Lakewood. The driver then got out and allegedly shot his older brother with a handgun. Richard Van Heyningen was pronounced dead at 9:57 a.m. at the scene, according to the coroner’s office. Margaret Mae Rion, a 57-year-old white woman, was found dead Tuesday, May 27, in the 4100 block of Maybank Avenue in Lakewood, according to Los Angeles County coroner’s records. Deputies had gone to her apartment about 6:30 p.m. to respond to a report of a woman shot to death after Rion’s body was found by a relative with “trauma to the upper torso,” according to a Sheriff’s Department statement. Rion was pronounced dead at 6:30 p.m., said Ed Winter, a coroner’s spokesman. A autopsy showed that Rion died from multiple traumatic injuries. Rion’s daughter, Angie Diamond, a 32-year-old white woman, was booked on suspicion of murder the next day. Diamond told deputies that she killed Rion with a hammer and a knife after a verbal dispute. The weapons were recovered at Rion’s home. Cyrus Henry Alva, a 19-year-old white male, died Thursday, May 30, after being shot in Lakewood, according to Los Angeles County coroner's records. Matthew Macy, a 26-year-old white male, died Saturday, March 2, after being shot in Lakewood, according to Los Angeles County coroner's records. 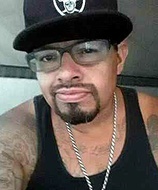 Jose Velasquez, a 36-year-old Latino, was fatally shot Monday, Dec. 31, in the 20700 block of Alburtis Avenue in Lakewood, according to Los Angeles County coroner's records. The shooting occurred about 11:20 p.m. at a New Year's Eve party at a home, sheriff's deputies said. "Words were exchanged and an argument ensued when gunfire suddenly erupted,'' according to a Sheriff's Department statement. Velasquez was struck in the upper body. He was taken to a hospital, where he was pronounced dead. The five additional victims, a woman and four men in the driveway, suffered minor, non-life-threatening gunshot wounds. The male gunman fled on foot. Anyone with information about this attack is encouraged to contact the Sheriff's Department's Homicide Bureau at (323) 890-5500. Those wishing to remain anonymous can call Crime Stoppers at (800) 222-8477. Posted Nov. 15, 2011, 9:49 a.m.
David Oakleaf, a 74-year-old white man, died after suffering blunt-force trauma Tuesday, Nov. 1, in the 2700 block of Carson Street in Lakewood, according to Los Angeles County coroner's records. At the time of his death, Oakleaf was at a Wal-Mart store when a transient wandered into the shopping center and entered the sporting goods section. The transient, later identified as Richard Lawrence Kalfin, a 47-year-old black man, removed a baseball bat from a display rack and began walking the nearby aisles, stopping only when he spotted Oakleaf. Witnesses told officials that Kalfin began swinging the bat at Oakleaf’s head, striking him several times. Authorities were called and the victim was pronounced dead. Kalfin was detained at the scene and booked on suspicion of murder. Sheriff's Lt. Eddie Hernandez said there was no evidence the two men had prior contact.